Do you like pie? That's a trick question; everyone likes pie. 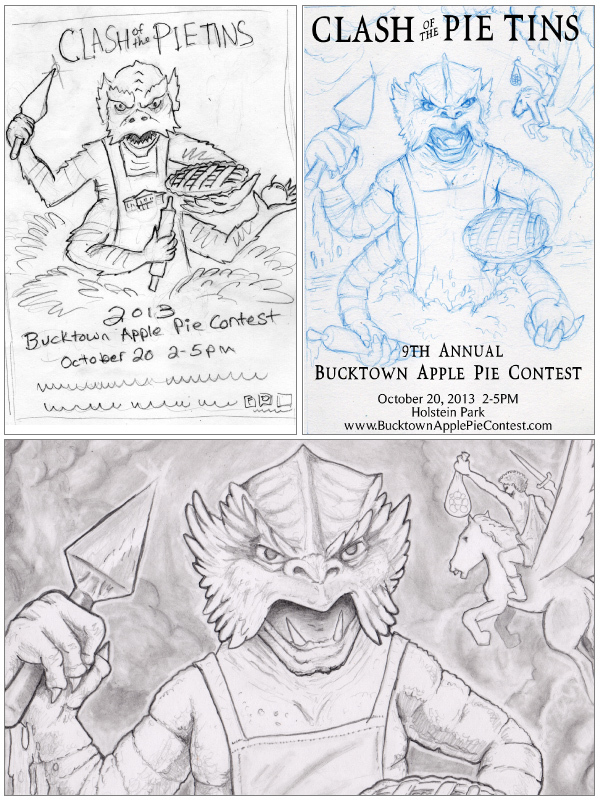 If you're in Chicago on October 20th you should come to Holstein Park in the Bucktown neighborhood for a good ol' fashioned APPLE PIE CONTEST. Also, I illustrated this poster for the event! Here's some process images followed by the real deal.